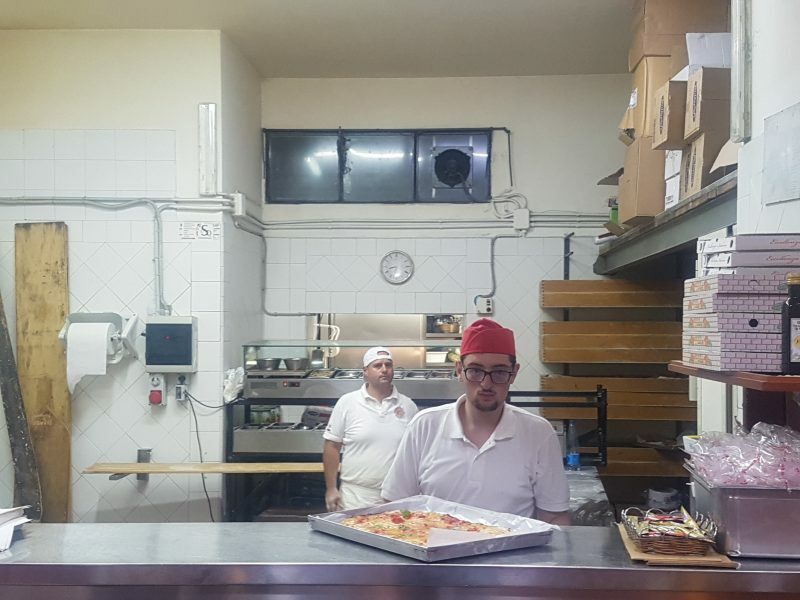 Since 1949 Pizzeria Da Franco has been producing crispy wood oven fired pizza. 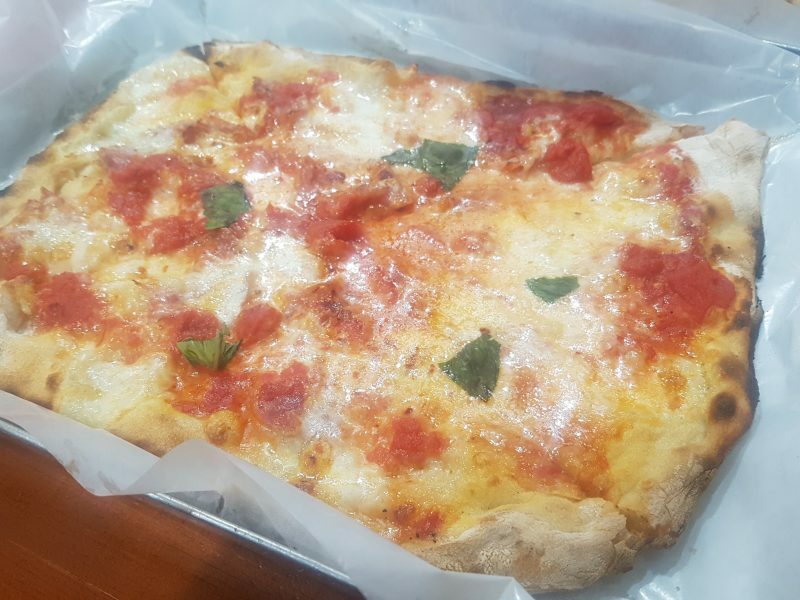 Id say its some of the best pizza available on the Amalfi Coast in Italy, and judging by its many positive online reviews I’m not the only one. The restaurant itself its charming, and somewhat rustic in appearance. 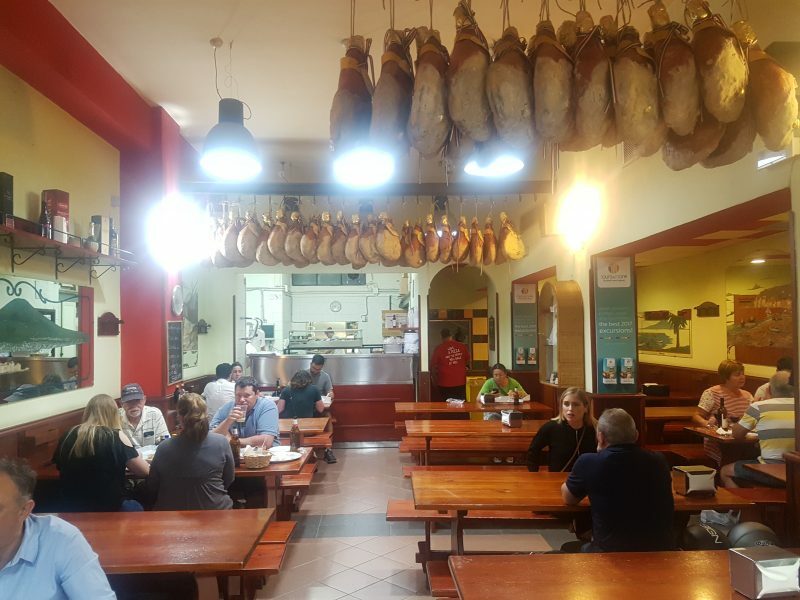 Long wooden sharing tables, pizza served in metal trays, Parma Prosciutti hanging from the roof. You don’t go for the flashy interiors, you go for the food which is incredible. 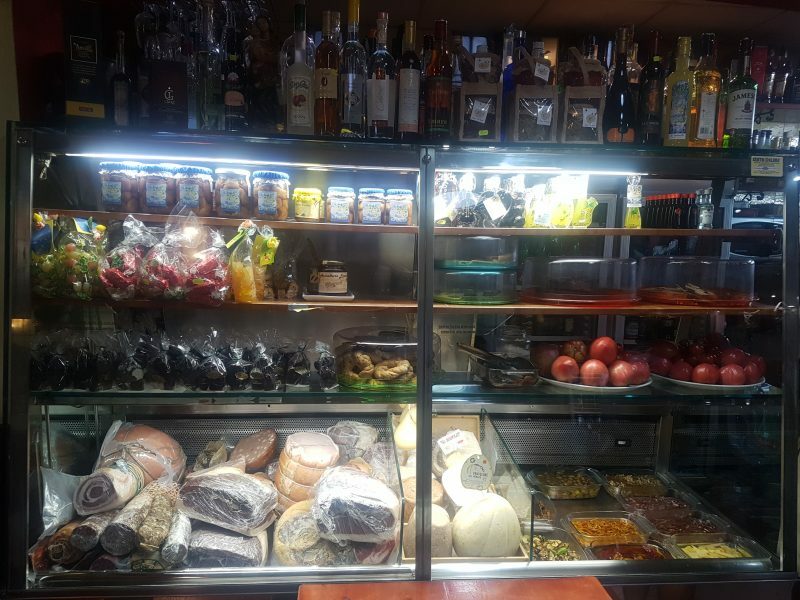 All the fresh ingredients are on display so you can see exactly what is available, from the list of antipasti, which include traditional local salami, cheeses and grilled veggies. 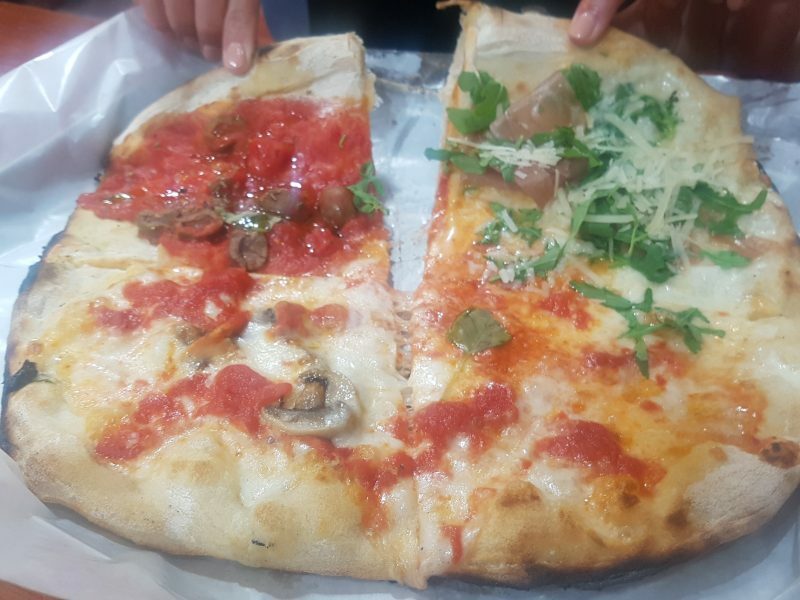 We shared a Quattro Special pizza which had four of the restaurants best selling options and a whole classic Margarita pizza. 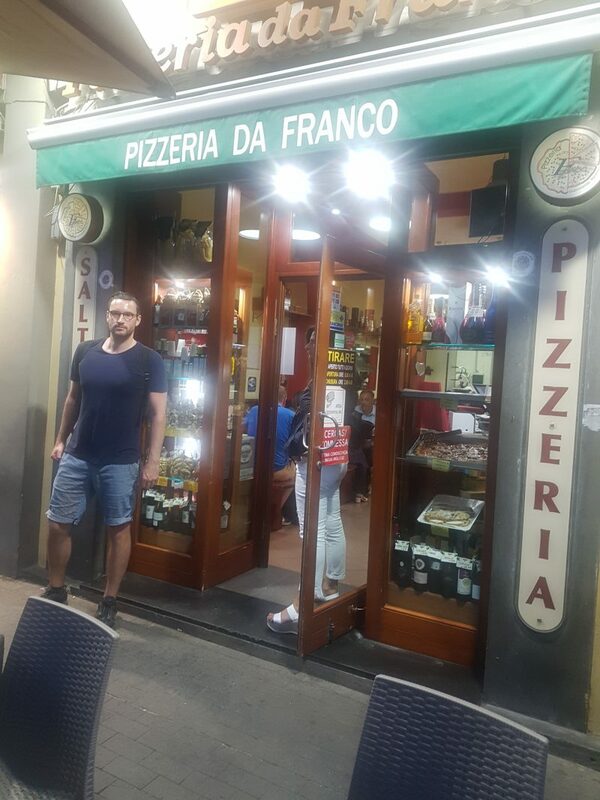 The base was warm and crispy, somewhat crispier than a classic Neapolitan pizza but that’s the style in Sorrento. 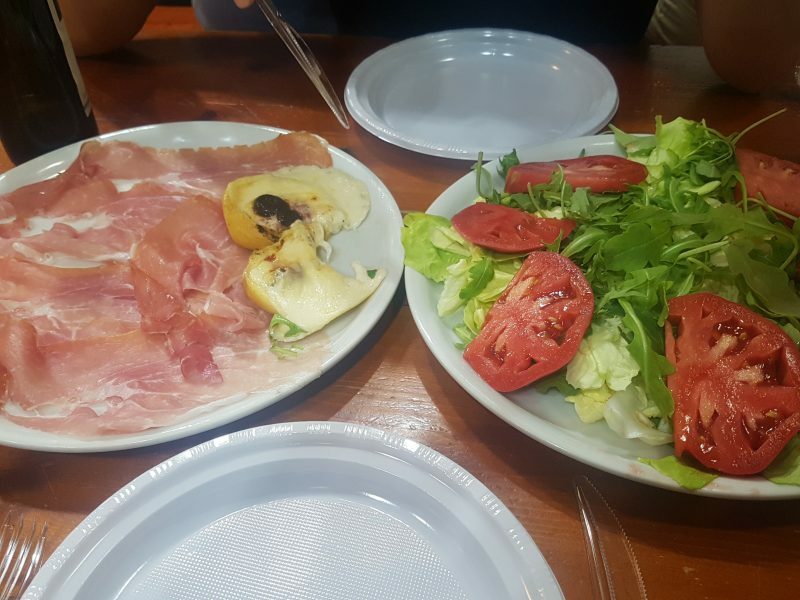 We also tried the local Parma ham, and side salad. I’m constantly amazed by how good food tastes when you have great fresh ingredients, and the Italians know all about this. Whilst these two dishes are simple, they are also delicious. Even the green leaves in the salad, drizzled in some local olive oil were very moreish.